Conde Nast Traveler's annual readers' choice survey has revealed the friendliest and unfriendliest cities in the world. The survey was based on reviews from the magazine's readers. We start the list with the friendliest cities in the world. Melbourne is described as the ‘classiest cities in the world’, according the magazine survery. It is also the cultural capital of Australia, with museums, galleries, theatres, Victorian-era architecture. According to Wikipedia ‘Melbourne’s 4-million residents are both multicultural and sports-mad’. Image: Spectators enjoy the atmosphere on Australia Day during day nine of the 2010 Australian Open at Melbourne Park on January 26, 2010 in Melbourne, Australia. The survey describes Auckland as ‘clean, adventurous and beautiful’. Auckland in New Zealand is the largest city in New Zealand, with a population of over one million, which is roughly one-third of the country’s population, according to Wikipedia. Auckland ties with Melbourne in the list at rank 1. 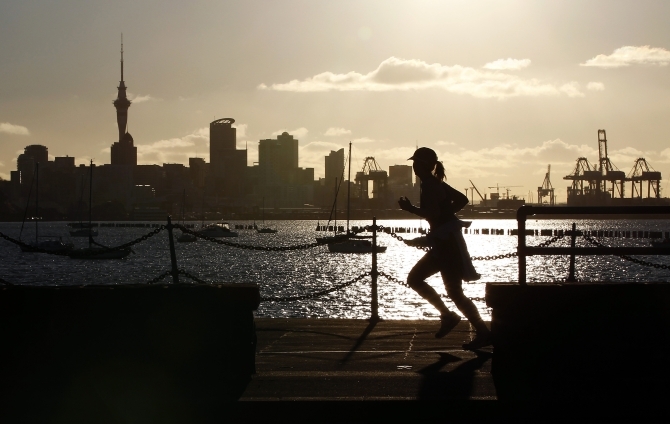 Image: A jogger runs along the seawall in Auckland, with the city skyline in the background. The survey describes Victoria as, ‘there is too much to see in Victoria and you need at least a week to see it’. Known as the ‘city of gardens’, Named after Queen Victoria of the United Kingdom and, at the time, British North America, Victoria is one of the oldest cities in the Pacific Northwest, with British settlement beginning in 1843, according to Wikipedia. 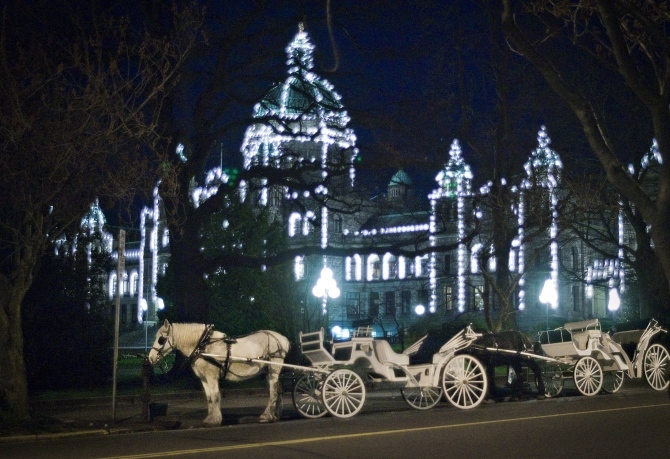 Image: A horse-drawn carriage outside the British Columbia Legislature in Victoria, British Columbia. Charleston, was known as Charles Town, was captured in the Civil War without much property damage, so the historic part of town has buildings that are hundreds of years old, according to Wikipedia. 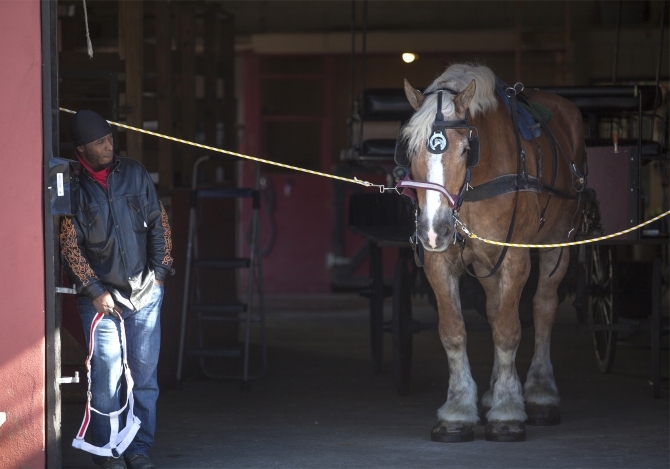 Image: Barn hand Sean Williams waits for clients at Olde Towne Carriage in downtown Charleston, South Carolina. The survey describes Dublin as ‘a vibrant city’ which is a ‘bibliophile’s dream’. According to Wikipedia its vibrancy, nightlife and tourist attractions are renowned and it is the most popular entry point for international visitors to Ireland. It's disproportionately large for the size of Ireland with nearly two million in the Greater Dublin Region - well over a third of the Republic's population! The centre is, however, relatively small and can be navigated by foot, with most of the population living in suburbs. 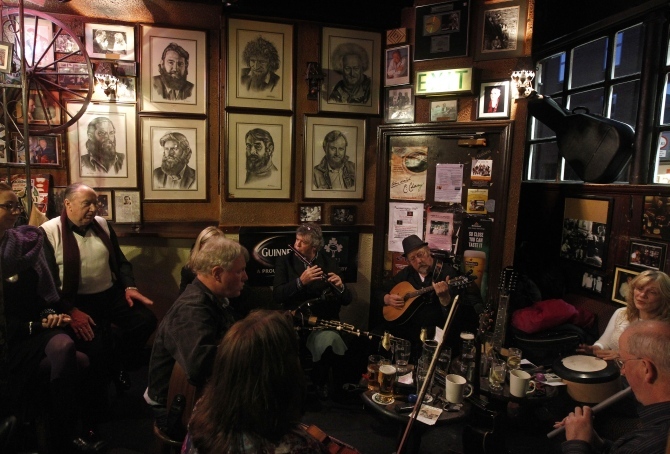 Image: Musicians play Irish traditional music in a pub in central. ‘Not only is Sydney “the most beautiful large city in the world” with a “breathtaking” harbor and beaches, it’s also home to the “friendliest people,” according to the survey. Brimming with history, nature, culture, art, fashion, cuisine, design, it is set next to miles of ocean coastline and sandy surf beaches. Recent immigration trends have led to the cities reputation as one of the most culturally and ethnically diverse cities in Australia and the world, according to Wikipedia. 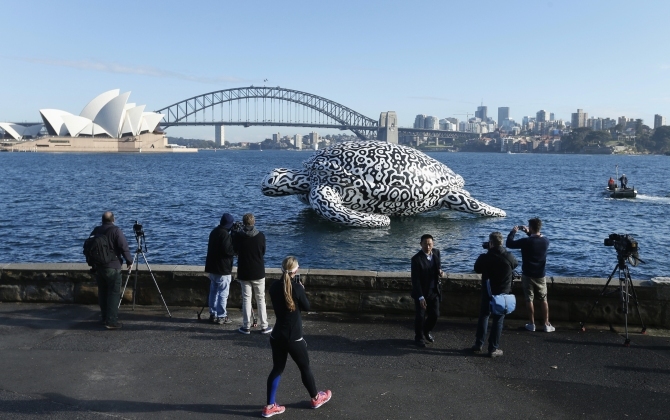 Image: A floating sculpture named 'Alpha Turtle' is pictured in front of the Sydney Opera House and Harbour Bridge. Though Siem Reap is full of “awe-inspiring beauty” and “incredible food and sights,” the survey says that its “people were the best. 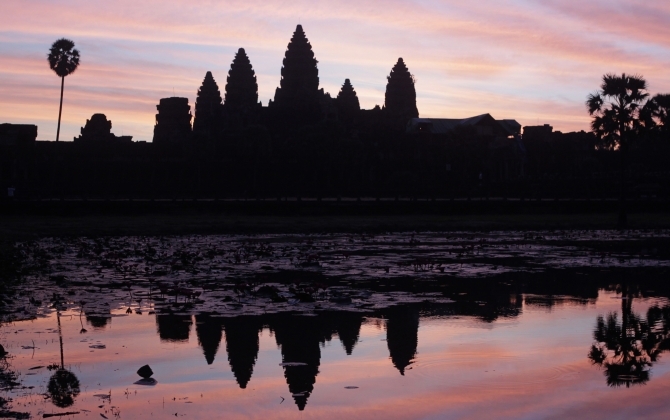 The name Siem Reap literally means ‘Siam defeated’. Image: Cambodia's famous Angkor Wat temple is reflected in a pond during sunrise in Siem Reap. It is a stone's throw from South Africa's world-famous CapeWinelands around Stellenbosch, Paarl and Franschhoek. 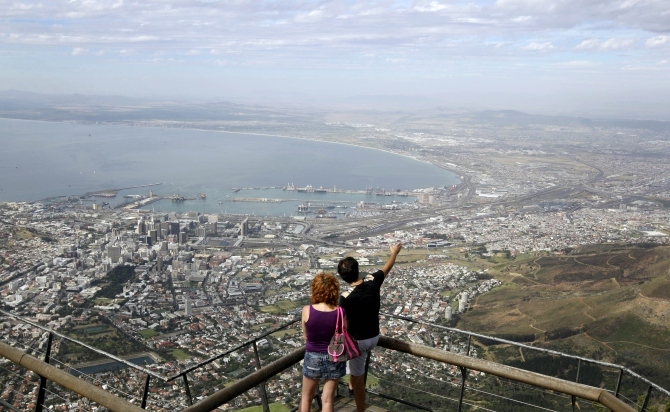 Image: Visitors enjoy the view over the city of Cape Town from the top of Table Mountain, one of South Africa's biggest tourist attractions above Cape Town. Salzberg, the fourt-largest city of Austria, is the birthplace of Mozart, the influential composer of the classical era. The city was later made famous by the movie The Sound of Music. According to the survey, the people here are very friendly and warm, and the city is family friendly. According to Wikipedia, the name Salzburg literally means ‘salt fortress’, and derives its name from the barges carrying salt on the Salzach river, which were subject to a toll in the 8th century. 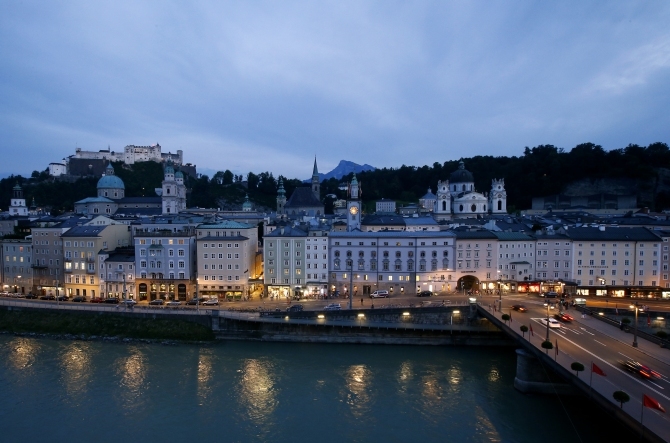 Image: A general view shows the city of Salzburg next to river Salzach during a summer evening. According to the survey the capital of Hungary has a youthful atmosphere; Budapest is Europe’s most delightful and enjoyable cities. It is also known as the ‘Paris of the East’ because of its architecture and scenic setting. Budapest was added to the UNESCO World Heritage List in 1987 for the cultural and architectural significance of the Banks of the Danube, the Buda Castle Quarter and Andrássy Avenue. 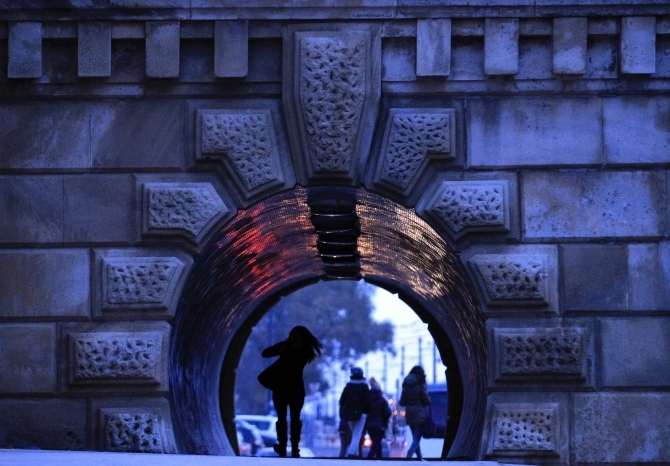 Image: People walk through an underpass under the Chain Bridge in Budapest. Fletcher should have been sacked! Can Ravi Shastri turn around the Indian team's fortunes? Vote here!